The Dictator who stopped the Dancing. 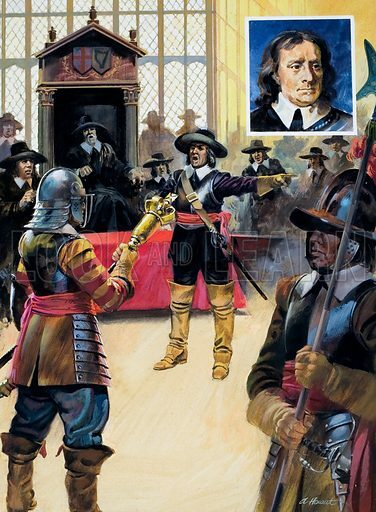 When, in 1653, self-interested MPs attempted to pass a law allowing them to rule indefinitely, Cromwell simply marched in with a body of troops and cleared the building. Inset: Oliver Cromwell. Original artwork for illustrations on p7 of L&L issue no. 915 (4 August 1979).